This little chap is Cookie. He is a lurcher pup and is about 12 weeks old. He came to us recently in bad condition, having been found straying , starving , lonely and sad. After a vets visit he went to a great foster home where he has discovered what life is supposed to be like for a little puppy. He is a super little lad, full of the joys of life, loving the other dogs in his foster home and keeping a safe distance from the cats having been swatted once or twice when he got too nosey. He is a sociable puppy, loves his cuddles, loves to play, and gets on really well with children. As he is still a baby he will need to go to a home where there is someone at home with him for a good part of the day to give him the training and attention that he needs. We will not rehome him to a family with very young children as puppies tend to nip playfully and this is often misunderstood and taken to be biting. He does have sharp little teeth that could potentially hurt a small child accidentally. Cookie is microchipped and will be fully vaccinated before going to his new home. He will not be neutered as he is too young, but it is a condition of the adoption that he will be neutered at the age of 6 months. The cost of this is taken up by the kwwspca provided that it is carried out by a vet with whom we have an account. If you would like to express an interest in adopting Cookie please email kwwspca@gmail.com . We ask for a minimum donation of €150 to partly offset our veterinary expenses, a collar tag and licence are required to complete the adoption, and a home visit applies. 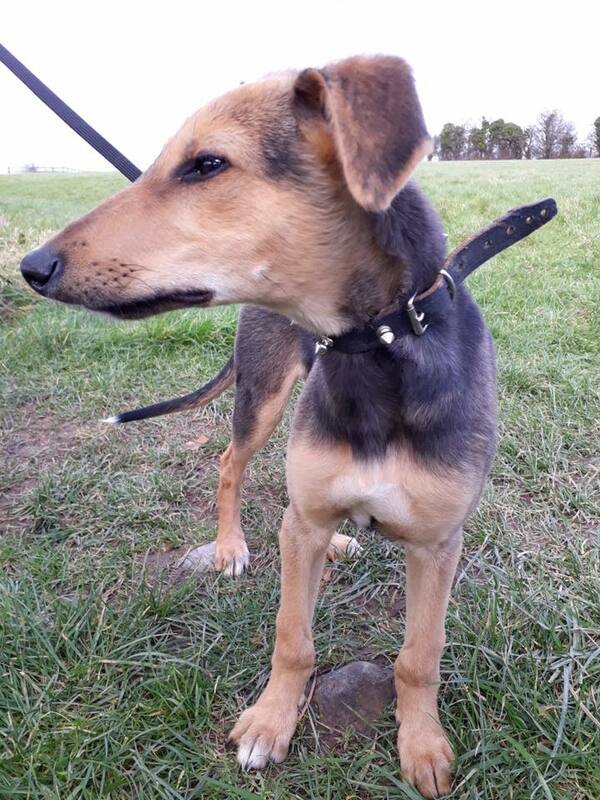 Please be aware that Cookie is a leggy little lad and we expect that he will grow to be quite a tall dog.